The Forest of Light is a forest privately owned by the Maeda Ippoen Foundation which protects the forests in the Akan area. 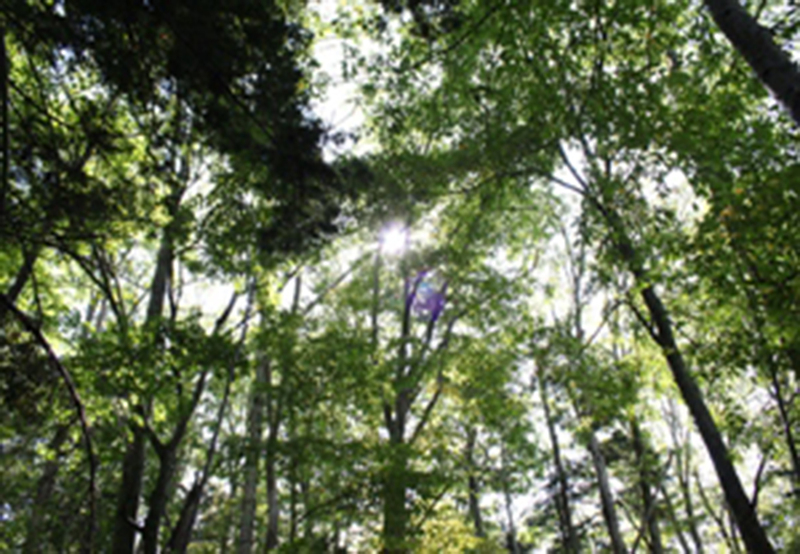 It is named after the beautiful sunlight the glints through the gaps in the trees and because it was cherished by Mitsuko Maeda ("mitsu" means "light" in Japanese), the third director of the foundation. The Maeda Ippoen Foundation protects this natural landscape as part of its aim to restore the primeval forest in the area. The route of this walking tour has plenty to see, including katsura trees (Cercidiphyllum japonicum) said to be 800 years old, and bubbling mud pools called bokke. *Please provide a phone number and email address when booking. *All walkers in this forest must be accompanied by a Forest Guide from the Maeda Ippoen Foundation. Your guide will protect the forest from human damage, and protect you from sources of danger in the forest. Requirements / Notes ■Departure point: Akanko Marimukan 1F ■Requirements: No special requirements, however, please contact us in advance if you have concerns about walking in the forest. 2. As this tour is outsourced to a certified tour guide, it may take time to arrange.